Helter Skelter | Where’s Your Head At? 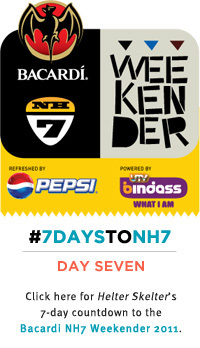 Our #7DaysToNH7 countdown has reached its end, with excitement for the Bacardi NH7 Weekender at its absolute peak. With just a few hours left for Day Zero, we realise the countdown in itself has been quite a journey. 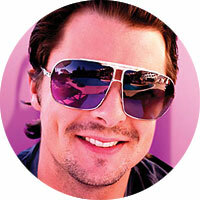 Basement Jaxx’s Felix Buxton will perform a special DJ set at the Eristoff Wolves Den on November 18 (Friday). 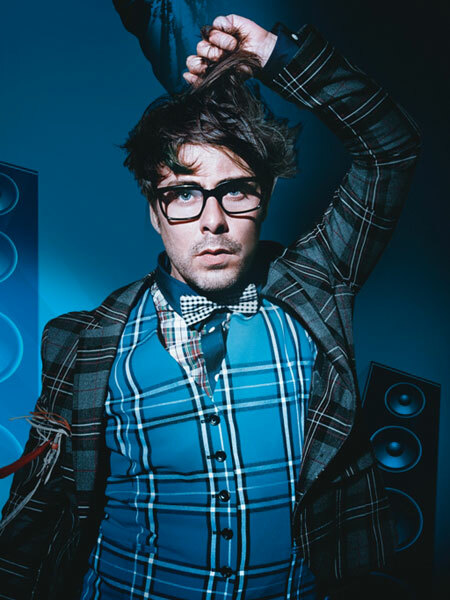 Felix Buxton, one half of Grammy Award-winning duo Basement Jaxx, is one of the headlining acts for the Bacardi NH7 Weekender this year. For the past decade, the house music giants from Brixton, U.K., have been among the biggest names in dance music worldwide. Their first two albums Remedy (1999) and Rooty (2001) are largely responsible for their massive fan following, and included chart-toppers such as ‘Red Alert’ (featured in Bend It Like Beckham), ‘Bingo Bango’, ‘Where’s Your Head At?’, and ‘Romeo’, which had a popular Bollywood-inspired music video featuring actress Divya Dutta. Kish Kash, released in 2005, won the duo the award for Best Electronica/Dance Album at the 47th Grammy Awards that same year. Zephyr (2009) is Basement Jaxx’s sixth and latest studio album. The duo is currently working on their first film soundtrack for English director Joe Cornish’s film Attack the Block. Felix Buxton will perform a special DJ set at the Eristoff Wolves Den on November 18 (Friday). Indisputably one of the most eagerly anticipated acts at the Bacardi NH7 Weekender, Imogen Heap has created quite a stir in India amongst musicians and fans alike. One of the headlining acts this year, her music is an intriguing web of angst-filled lyrics and emotional electronica. The electronic layers fall apart, though, to reveal original compositions which she usually composes on the piano, and the versatility of Imogen Heap lies in how she can play the same song acoustically as well as with all her equipment and give listeners goosebumps regardless. 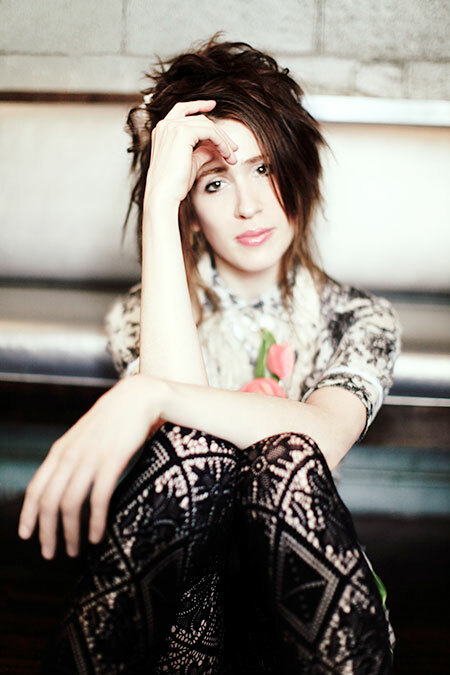 Imogen Heap will perform at the Dewarists Stage on November 19 (Saturday). Photograph by Jeremy Cowart. After the release of her first album iMegaphone (an anagram of ‘Imogen Heap’) in 1998, she collaborated with Guy Sigsworth to form Frou Frou and release Details (2002). The album’s most popular track ‘Let Go’ was featured in Garden State and brought forth resurgence in their popularity two years later. Imogen Heap then went on to release her second solo album Speak for Yourself in 2005 which she wrote and produced herself. She decided to start her own record company in the U.K. titled Megaphonic Records, and released the album on her own to great acclaim from fans and critics. This album features infectious tracks like ‘Goodnight and Go’, ‘Headlock’, and ‘Hide and Seek’, which keep coming back to haunt fans and play and replay in your head ages after first listening to them. At the release of her third solo album Ellipse, the British songwriter/musician and two–time Grammy nominee took the electronica scene by storm by pioneering the D.I.Y. movement and being called “the first download diva”. Furthermore, she has left no stone unturned in involving her fans in each and every step in the making of the album, with the use of over 40 videoblogs. Just prior to the Weekender, she collaborated with Vishal-Shekhar to come up with ‘Minds Without Fear’, a single based around the famous Rabindranath Tagore poem, which was composed as part of the Dewarists T.V. series. She is now working on her latest album Heapsongs, a creative collaboration between her and her fans which is to incorporate sound ‘seeds’ sent by them. The first song ‘Lifeline’ is out and the entire process is to take three years until the completion of the album. Word has it Imogen has just brought her first sari here in India, and has enthusiastically urged fans to carry a camera to the Weekender to take a few pictures! Click here to check out all the articles that are a part of our #7DaysToNH7 countdown. We’ll see you at the Weekender tomorrow!